For me the concept of a professional addicted gambler is somewhat oxymoronic. In order to be a professional I must regularly make money; in order to make money I must avoid straying from whichever method has given me success and in order to do that I must avoid compulsion. An addicted gambler is necessarily compulsive. So no, not addicted, and I’d be surprised if any professional gamblers are (at least not in the sense in which the question is asked…they may be addicted to working or making money but that is a different matter!). The concept of compulsion brings me onto the subject for the second part of my series of articles on addiction, FOBTs (you can find the first part here). FOBT stands for ‘Fixed Odds Betting Terminal’, and if you already knew that then there is a good chance that you have spent a fair amount of time playing on one. You will find them in every bookmaker, a mini casino in which a number of slot, roulette, blackjack games are found. They are similar enough to the ‘casino’ section of an online bookmaker’s website for me to lump the two together as one flashy, musicy enticing turkish delight of a game. Simply put, they are the crack cocaine of the betting world and I loathe them. Head into any bookmaker and chances are you’ll see a few shuffly types hanging around the machines, maybe playing several at once in order to increase the affect of the hit; it is a desperately sad sight. No system works on FOBTs. No-one is good or bad at playing them, it is not possible to have a ‘system’ as every system is as bad as every other system. What you do in no way influences the machine’s ultimate goal which is to repay a percentage of what it receives, a percentage which is less than 100%. Whilst in other forms of gambling it is possible to have an ‘edge’, this simply doesn’t exist in the world of FOBTs. Sports gamblers may know more about particular teams or players than bookmakers, they may understand that unconsidered statistics affect games in ways that the bookmakers have yet to consider and poker players can obviously be better than other players. Those who play on the FOBTs have no edge, they are purely relying on luck which, the longer they play, the less they will receive until ultimately and inevitably their luck will run out. Medium term – a few weeks or month then you have been extremely lucky and have been beaten the odds. The vast majority at this point are losing. Long term – a year or so then you are lying. Everybody is losing. You’ll see that payouts range from 45% (!!) to 99.72%. You will at least be able to choose the best, or rather the least bad game. If FOBTs or their online equivalent have become a problem then there is help. BeGambleAware offers advice and helpline open 7 days a week and a website has been set-up specifically to enlighten on the FOBTs, simply name stopthefobts. If you do want to gamble then please avoid this form, there really is only one endgame. Stick to sports gambling, read up on how to beat the bookmakers or study poker strategies and just repeat to yourself that there is absolutely nothing that you can do to beat the FOBTs. Previous PostPrevious World Cup qualifying double and new video blog section! 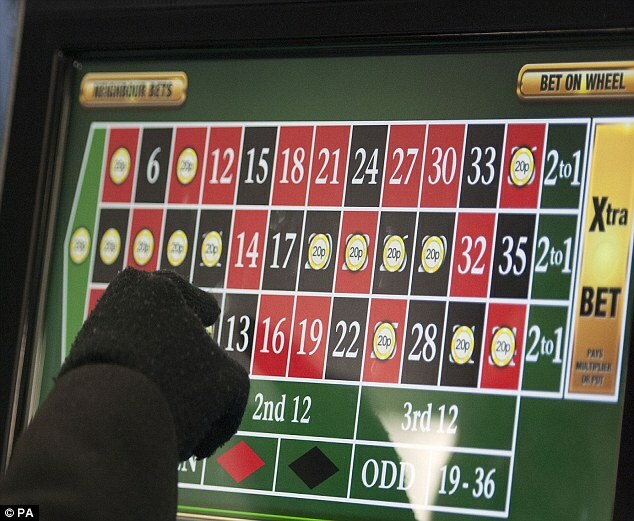 How do bookmakers earn their money? @MightyNetworks Any ETA on when networks will be back up?